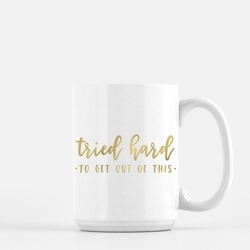 Home > Cups, Mugs & Napkins > Mugs > Tried Hard Mug 15oz. Description: Subtle snark for those endless meetings--choose from gold foil, silver foil, and black ink. 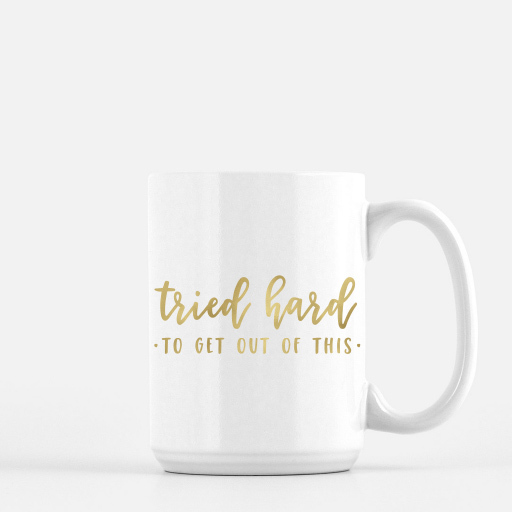 Mugs are printed on demand. Please allow 5 to 7 business days for delivery. Thanks for stopping by! We hope you'll find something perfect for your occasion.